WELFARE ORGANISATION FOR RURAL DEVELOPMENT WORD is located in Andhra Pradesh . WELFARE ORGANISATION FOR RURAL DEVELOPMENT WORD is registered as a Society at Tirupati of state Andhra Pradesh with Ngo unique registration ID 'AP/2010/0032315' . 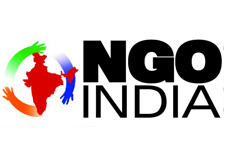 The NGO registration is done by Registrar of Societies with registration number 207/1996 on the date of 15-06-1996, Its parent ORganaisation is PaulFoundation. The Chairman of WELFARE ORGANISATION FOR RURAL DEVELOPMENT WORD is GVMUNASWAMY NAIDU and Chief functionary officer is Dr K GANGADHARAM. Since the inception of organisation, working for promotion of organic farming educating the small and marginal farmers on importance of organic agriculture for soil health and quality food and ill effects of chemical fertilisers and pesticides. Recognised the services of WORD by KVIC, CAPART, APCOST, DEPT. OF AGRICULTURE and encouraging. Conducting regular trainings to the NGOs, Farmers and Women groups on Organic farming methods preparation and use of bio fertilisers and bio-pesticides using local resources. The WORD promoted Farmers Round Table for Natural farming and establishing Natural Farming Schools in different mandals of Chittoor District, A.P. Further, the WORD also initiated and organising Organic bazaars for promoting local marketing of organic products for the benefit of small and marginal farmers. These are the pioneer efforts of WORD in the state of Andhra Pradesh for sustainable development in agriculture. The WORD also promoting Organic Farming groups for production and marketing of organic products. The WORD also conducting organic melas facilitating the farmers to share their experiences in organic farming movement. Also conducting National Environment Awareness Campaigns every year. The future vision of WORD is to promote Organic Bazaars in different parts of Andhra pradesh for promoting and marketing of organic products. Guiding the NGOs to involve in promotional activities of organic farming movement in Andhra Pradesh. We seek all support and guidance for achieving our goal.